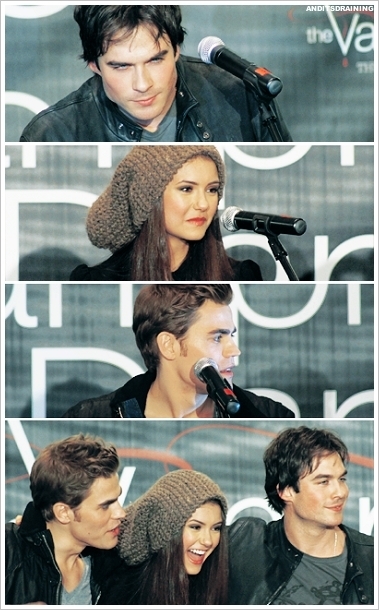 Ian Nina Paul - Hot Topic Tour LA. . Wallpaper and background images in the The Vampire Diaries club tagged: the vampire diaries nina dobrev ian somerhalder paul wesley hot topic tour. TVD CW پیپر وال سے طرف کی DaVe!! !